Properly fit contact lenses can provide clear and comfortable vision while reducing your use of glasses. Whether you plan on wearing contact lenses on a daily basis, for specific hobbies, athletics, or simply out to dinner with friends, the contact lens world is full of options. 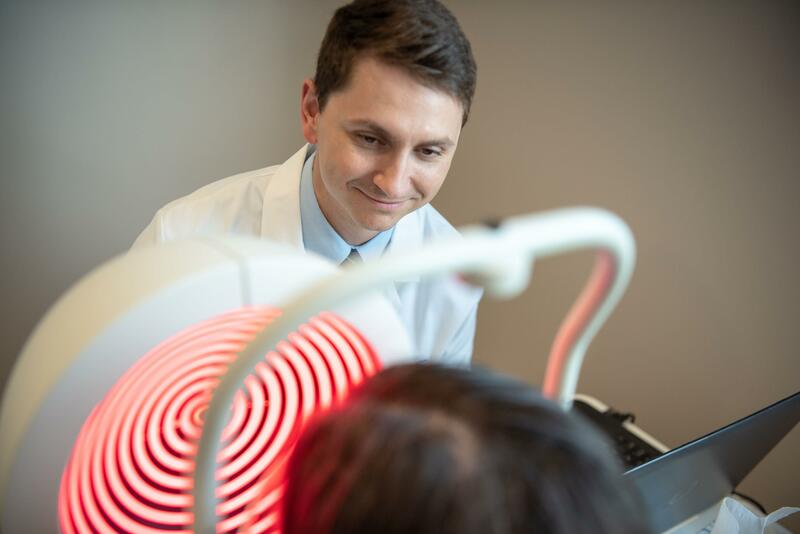 At Artisan Eye in Lakewood Ranch, Florida, highly skilled optometrists Kara Collier, OD, and Cory Collier, OD, offer thorough contact lens exams to ensure you get lenses that you can wear comfortably and safely day after day. Request your appointment online or over the phone to get contact lenses that are perfect for your eyes. How are contact lens exams different from other eye exams? We all live unique lives that place specific demands on our vision. To ensure your lenses will meet your needs, your eye doctor will take the time to understand your lifestyle, including your work and/or school environment, social requirements and hobbies. This will help the doctors at Artisan Eye determine the contact lenses that best meet the demands of your day-to-day life. It may come as no surprise that putting something in your eye on a regular basis could have an impact on your eye health. During your contact lens exam, your doctor will evaluate the health of your eyes — including making a dry eye assessment — to look for anything that could impact your ability to safely and comfortably wear contacts. Our doctors recommend proactive treatments to improve the comfort and wearability of contact lenses. We firmly believe that there is a comfortable contact lens option for everyone and that this starts with a thorough understanding of the overall health of your eyes. An eyeglass prescription alone isn’t enough to determine a contact lens prescription. The team at Artisan Eye will also measure the shape of the front of your eye, known as your corneal curvature, to ensure a well-fitting lens is selected based off of your individual eyes. Once an appropriate lens is identified, the doctors will evaluate the lenses on your eyes to ensure they fit in a healthy and comfortable way. They will also work with you to refine your vision, creating a clear and comfortable vision in your contact lenses. Learning how to properly insert and remove contact lenses is a key component to contact lens safety. The team at Artisan Eye will work with you one-on-one to educate you on the process and take their time to make sure you are comfortable prior to leaving the office with your contact lenses. The training process also includes instructions on what contact lens solutions to use to clean your lenses, how to maintain your contact lens case, and wearing habits designed to keep you safe and comfortable in your contact lenses. Making sure your lenses are performing well in your real-world environment is a critical part of a contact lens fitting. That is why the eye care providers at Artisan Eye include follow-up examinations, allowing you to experience the lenses prior to finalizing your contact lens prescription. At your follow-up, they’ll ensure that your contact lenses are providing clear vision, excellent comfort and are a healthy fit. If needed, modifications will be made at that time to address any areas that may benefit from an enhancement. Are you ready to achieve clear and comfortable vision with contact lenses? Request an appointment online or over the phone with Artisan Eye today.